Kettani Law Firm has recently celebrated its 45th anniversary. The generation to which I belong, me the founder of Kettani Law firm, did not have, when starting its legal activity, computers, internet or any of the modern means of communication, except for the telex machine and telephone for the least. 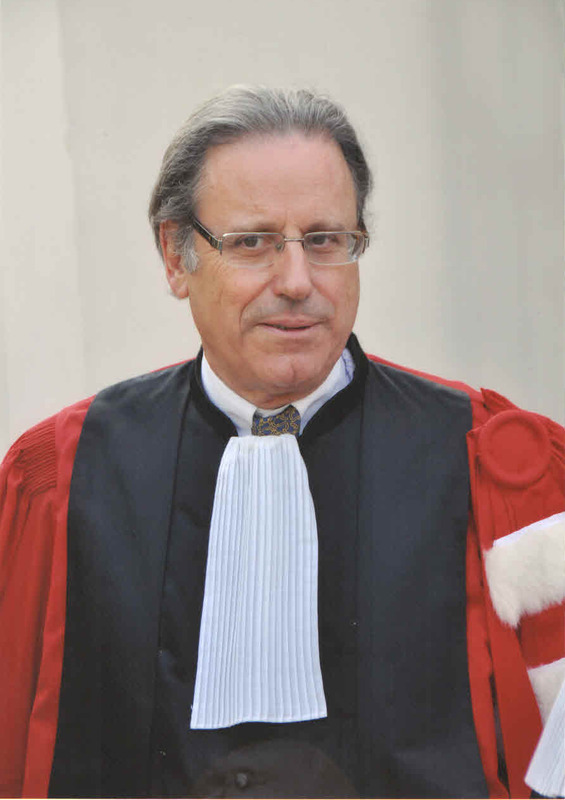 On 1 April 1968, as a young lecturer at the Faculty of Law in Rabat where I had the honour to be recruited, I immediately felt that my theoretical knowledge which, necessarily, I had to constantly update, would only be insufficiently useful if it did not contribute to enrich the practice and if it wasn’t concretely transposed in the real world. From here on came the idea of embracing the profession of lawyer on 16 July 1968, starting with an internship which ended on 1971 with the creation of the law firm of Azzedine Kettani. The trust that some multinationals, particularly americans, and the Government of the United States of America, placed in the firm shortly after its creation was due to the acceptable use of the English language that I could offer as being one of the rare English speakers of the Casablanca Bar. From there emerged the translation of Cabinet Azzedine Kettani into Kettani Law firm. This asset has drawn a clientele that has continually developed amongst multinationals companies from all over the world, as well as foreign governments that engaged the law firm’s services, which in 1973 already included 6 people, a team that doubled in 1980 to reach 15 people in 1990. Then, as to ensure a succession which was yet still distant, the first children, attracted by their father’s profession and the law, joined the firm under its French and English name. Nadia and Rita respectively arrived in 1992 and 1993 after brilliant studies. They focused on strengthening the English-speaking orientation of the firm, studied in the US and developed their knowledge and use of Shakespeare’s language. We are in 1995, on Nolly Street in Casablanca, using two-floors of a 1930’s prestigious and classified building, and we soon expand to occupy nearly 400m2. About 35 associates are actively working daily, lawyers, legal counsels, paralegals, to secretarial and accounting staff members. The “Departments” would begin to take shape, resulting in the creation of the department of litigation for the defence of banks, insurance and all companies and the consulting department for contractual matters, investment, financing, etc..
During the 2000s, began to grow the idea to change course to make Kettani Law Firm the leading firm just like the big firms, especially americans, with a quality of service which would be very honourably comparable to theirs. To reach this, we had to invest and I thus decided to buy, in the beginning of 2004, in the heart of the city, in a street perpendicular to Anfa Boulevard, a building that once demolished would let the rise of the 7 floors and two undergrounds of “Kettani Law Firm Building” of 3000 m². Achieved in May 2005, it is divided into several units: consulting, intellectual property, commercial and corporate, labour law, arbitration and a recovery department composed of specialized units for banks or insurance companies, according to a model unique to Kettani Law Firm. More than 120 employees, including administrative staff, alongside Moroccan and foreign lawyers and legal counsels are permanently working with the same motto: “serving the client to the best”. Two new “youngsters” have joined their sisters: Driss Kettani who after his law studies at the Pantheon-Sorbonne University, France was admitted to the Casablanca Bar where he has been a lawyer since 2012 and is in charge of the finances and organization, followed by Zineb Kettani, who took an unusual path, graduating in pharmacy from the University of Lausanne and Commerce high studies ‘’HEC’’ in the same city, then abandoning pharmacy to answer the call of the law, she is now registered with the same Bar of Casablanca. She joined Kettani Law Firm and notably runs the recovery activities, besides other attributions. We had to take the final leap and remove the craftsmanship coat to become a partnership, and in November 2011, Kettani Law Firm became a private lawyers’ partnership (“société civile professionnelle”) under the new law that permitted it. A new adventure has started. To all our team, it has already given a moving enthusiasm, as if it is true that Kettani Law Firm is a family run law firm bearing in mind that its family includes all its associates and staff members and not only “the Kettanis”. This is also the reason we are organising our annual “family days” where we meet altogether and celebrate our successes. These are measured at the high rate of success of our lawsuits, either as plaintiff or defendant’s counsel, the involvement of Kettani Law Firm in every important investment projects, and in all financial operations in any sector, whether in energy, infrastructures, aviation, tourism or others. These successes have allowed us to receive regularly prestigious international awards.